The U.S. Environmental Protection Agency has issued a final rule to help reduce water pollution from construction sites. The agency believes this rule, which takes effect in February 2010 and will be phased in over four years, will significantly improve the quality of water nationwide. In addition, owners and operators of sites that impact 10 or more acres of land at one time will be required to monitor discharges and ensure they comply with specific limits on discharges to minimize the impact on nearby water bodies. 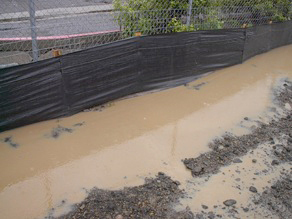 This is the first time that EPA has imposed national monitoring requirements and enforceable numeric limitations on construction site stormwater discharges.